2. Limited room behind the rear seat to stow things or adjust the seat for taller drivers. 4. Only one bed size. You could make other variations of it, but this would drive up the costs. Consumers would likely want other body variations, putting the cost even higher still. 5. Not everyone likes the El Camino bodystyle. You'd have to make enough of them to turn a profit, probably a lot more than would actually buy the thing. An open bed would increase the chance of theft, and creating a lockable, hard tonneau cover would increase costs even more (a cloth or vinyl one would not protect the bed's contents). 6. 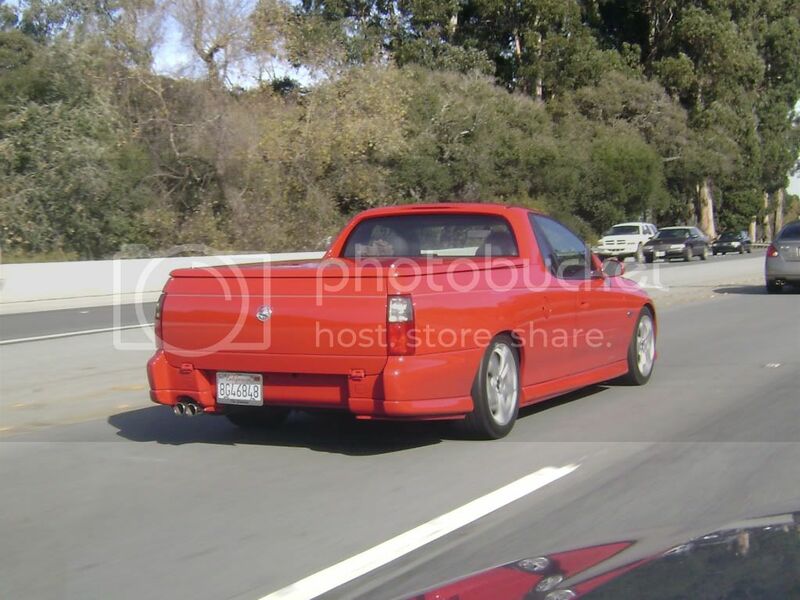 Many of the body panels are unique, meaning automakers wouldn't be able to share (rear) bodypanels among other models. This would increase repair costs. 7. Not many mounting options for the gazillion airbags safety mavens will want in this type of vehicle. 8. 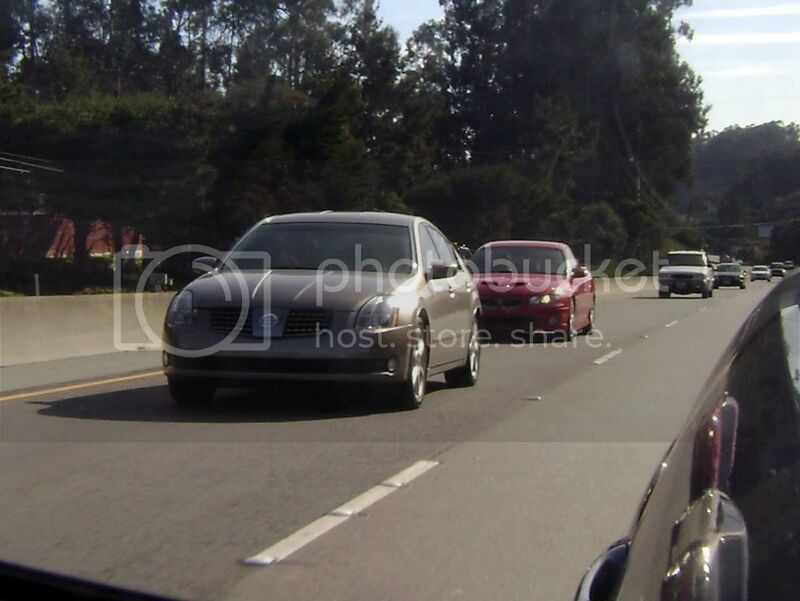 It's considered to be a somewhat top-heavy design (heavier front end, relatively lighter rear with an empty bed). Uneven handling might be an issue, not very well balanced with no roof over the rear of the car. Didn't mean to shoot down the El Camino idea, but these are just some of the issues you'd run into. Pontiac tried the El Camino idea with the G8, but found very limited appeal with consumers. Pontiac cancelled plans to produce it. GM pulling the plug on Pontiac (as well as every other Pontiac product along with it) further sealing its fate. I'm a little split on this: On the one side, I'm a little depressed that a ZHP is going to finish up it's days as a pickup truck. On the other hand, I love the ingenuity and get-it-done of this project. How does it drive? Is there a great deal of body shudder on bumps? Odd noises in the cabin? I have to admit, I've been shopping for a used BMW (my choice) or old pickup truck (her choice) for my daughter. Now I'm gonna have to expand my search. I have to admit, I've been shopping for a used BMW (my choice) or old pickup truck (her choice) for my daughter. Now I'm gonna have to expand my search. Not to sidetrack the thread, but generally speaking, for the higher crash & safety standards that cars must meet vs. pickups, for your daughter, the BMW might be the safer or less-likely-to-sustain-an-injury-in-case-of-incident choice. Balanced by other considerations though - if, for instance, your daughter would be doing most of her driving in an area where the deer population exceeds the human populace, perhaps (although it's a pretty big maybe) it's better to hit a deer in a taller vehicle such as a pickup truck. But, there's always X5's & X3's. However, if your daughter is inclined to drive less safely because she's in a decent handling BMW which might give an artificial sense of confidence to an inexperienced driver, then perhaps ix-nay on the BMW. If that might be the case, perhaps still better to be in a more crash-worthy vehicle. Towards the end of avoiding accidents altogether (hopefully), if there's a BMWCCA Foundation Tire Rack teen driving Street Survival school in your area, that might be worth considering as well. A few things to think about, anyway. Gawd. If BMW ever made a flatbed truck, the uproar from purists would be deafening. Me? Would never buy it; I got a convertible. The back seat comes out easily and I've hauled my BBQ, TV and tablesaw without a problem (although not at the same time). Around 10 years ago there was a Roundel article about someone in Florida who built one, I think it was an E30 truck, but I'm not sure. I passed a Chevy Colorado on the road this past weekend and immediately thought of this project. Which is funny because I'm pretty sure I've never, ever, consciously noticed one before. a point in central florida. then drive back to the starting point. I never had the chance to drive this ZHP model before it was totaled. I can say that every time I drive her I have a blast!!! IRT the G8 El Camino, the G8 is an Australian Holden, so what they tried to launch was a US version of the Holden Commodore Ute, which is wildly popular in Australia. Glad you could do something to save this totalled car. It is unique. Check out this thread over on MyE28.com with some BMW utes (including the OPs car.) I would love to make one from a totalled 750iL. I'd have to leave the Hofmeister kink at any costs, though. I love the ingenuity and dedication to do a job right. The final product looks very clean. Regardless if it meets my aesthetic tastes I still recognize a job well done. Still, the more I look at it, the more it grows on me. URL needs correction: "this thread" just leads to "Hofmeister kink." 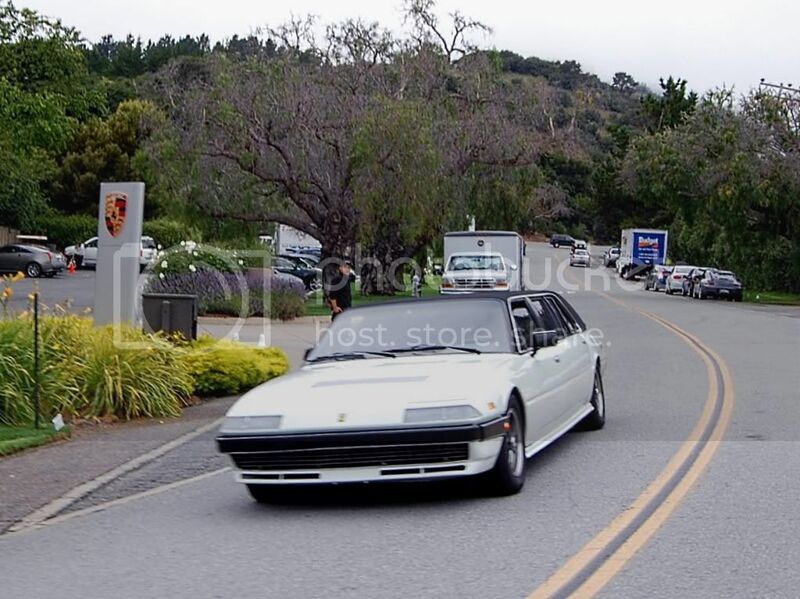 Brian A, I saw that same Ferrari 400 limo at Quail Lodge in Carmel Valley last August. I'm glad to hear it was factory built but I'm surprised the factory would cover it with a black vinyl roof. Seems like it would look much better with a solid body color roof. I'm over in Pamyra. If you ever get out this way give me a call (pm for phone#). Even thought this wouldn't be my first choice for a project, I gotta respect it, and wouldn't mind seeing it up close. I love the E46 (and E36) I have a 2000 323iT, and as of a week from tomorrow, I'll have a 2005 330cic ZHP. I also have a '94 325is M-Technic (see the classifieds). +1. and thank you for saving a wrecked car from the crusher! I believe it went on auction this year too. Goes against the spirit of both Ferarri and Limos. Why would they build it? Then again both Lamborghini and Porsche once made tractors. The things BMW has done seem mild by comparison. I briefly saw the BMW El Comino at Carlisle in May. He did a drive by. Look around for it all day and never saw it again! If I remember correctly, Lamborghini started out as a tractor company.